The U-Act-Early trial was a 2-year multicentre, double-blind, randomized, placebo-controlled trial in early (DMARD-naïve) RA patients treated to the target of remission, with step-up strategies starting with tocilizumab (TCZ), methotrexate (MTX) or their combination (TCZ+MTX)1, here labelled as TCZ, MTX and TCZ+MTX, respectively. When sustained remission (SR, DAS28 <2.6 AND 28 swollen joint count ≤4 for ≥24 weeks) was achieved, medication was tapered and stopped. During the trial, both TCZ arms showed less progression of joint damage than the MTX arm. Patients were subsequently followed for 3 additional years, during which treatment was open and accordance with usual care. The objective is to evaluate progression of radiographic joint damage and biological (b)DMARD use over 5 years in the TCZ, MTX and TCZ+MTX arms as initiated in the U-Act-Early trial. 226 of the 317 patients included in U-Act-Early (79 TCZ, 72 MTX, 75 TCZ+MTX) participated in the follow-up. Radiographs of hands and feet were taken at baseline U-Act-Early, after 2 and 5 years. A professional reader scored the radiographs in chronological order, applying the Sharp van der Heijde (SvdH) method. During follow-up medication data was collected every 3 months for the first year and every 6 months thereafter. We analysed change in total SvdH score and in SvdH erosion and joint space narrowing (JSN) scores over 5 years, and bDMARD use over time. Differences between the arms in median change in radiographic scores over time were tested with the van Elteren test, correcting for baseline DAS28 level (<5.1 or ≥5.1) and centre. Baseline characteristics at start of U-Act-Early of the patients included in this follow-up were not significantly different from those of all patients included in U-Act-Early, suggesting no selective dropout. The median (interquartile range) changes in total SvdH scores over 5 years were 0 (0-1) for TCZ, 0 (0-2) for MTX and 0 (0-1) for TCZ+MTX (Figure 1 and Table), with a borderline statistically significant difference for TCZ and MTX (p=0.05), but not for TCZ+MTX and MTX (p=0.41). No differences were shown for the erosion scores over 5 years (TCZ vs. MTX; p=0.80 and TCZ+MTX vs. MTX; p=0.62); for JSN scores there was a statistically significant difference for TCZ and MTX (p=0.03), but not for TCZ+MTX and MTX (p=0.11). During U-Act-Early, bDMARD use decreased in both TCZ arms and increased in the MTX arm, but during follow-up it remained higher in both TCZ arms (Figure 2). Progression of radiographic joint damage over 5 years was low: >70% of patients had no progression at all, without differences between strategy arms, probably due to convergence of treatment strategies resulting from the treat-to-target principle applied in each arm2. Use of bDMARD remained higher in both TCZ arms. 1. Bijlsma JWJ, et al. Lancet. 2016;388:343-55. 2. Smolen JS, et al. Ann Rheum Dis. 2017;76:960-77. Disclosure: M. M. Verhoeven, None; M. J. de Hair, None; P. M. Welsing, None; A. Pethö-Schramm, F Hoffmann-La Roche, 3; M. E. Borm, Roche Nederland BV, 3; X. M. Teitsma, None; J. van Laar, Arthrogen, MSD, Pfizer, Eli Lelly, BMS, Astra Zeneca, Roche-Genentech, 2, 5; F. P. Lafeber, None; J. W. J. Bijlsma, Roche, AbbVie, Bristol-Myers, Squibb, Merck Sharp and Dohme, Pfizer, UCB, 2, 5; J. W. G. Jacobs, None. Verhoeven MM, de Hair MJ, Welsing PM, Pethö-Schramm A, Borm ME, Teitsma XM, van Laar J, Lafeber FP, Bijlsma JWJ, Jacobs JWG. U-Act-Early Trial 3 Years Follow-up: Radiographic Joint Damage and Use of Bdmards over 5 Years in Early RA Patients Treated-to-Target with Strategies Initiating Tocilizumab, Methotrexate or Their Combination [abstract]. Arthritis Rheumatol. 2018; 70 (suppl 10). 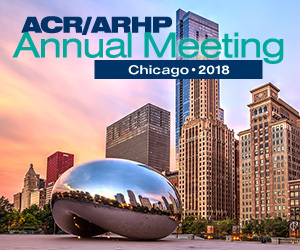 https://acrabstracts.org/abstract/u-act-early-trial-3-years-follow-up-radiographic-joint-damage-and-use-of-bdmards-over-5-years-in-early-ra-patients-treated-to-target-with-strategies-initiating-tocilizumab-methotrexate-or-their-comb/. Accessed April 18, 2019.